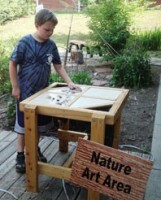 Wellborn Elementary School is the first school in Alabama to receive the title of certified Nature Explore Classroom. A large list of supporters helped to make this possible. 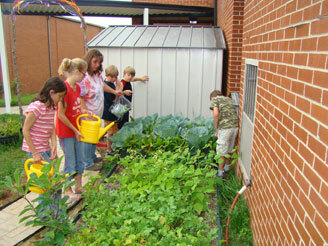 A huge thanks goes out to the following organizations for helping Wellborn Elementary qualify for Nature Explore Certification: Legacy Partners in Environmental Education, Calhoun County Commission, Calhoun County Beautification Board, Calhoun County Extension System, Calhoun County Master Gardeners, Stringfellow Health Fund of the Community Foundation of Northeast Alabama and Wellborn Elementary PTO. Senior and graduate level Auburn University landscape design students visited the proposed site and incorporated student and teacher ideals into several proposals. A proposal was selected and an outdoor classroom was started. 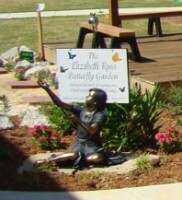 Parents and students helped to install the classroom plants and features. Parent and family events are hosted throughout the year. 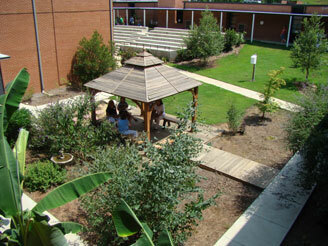 Four-foot wide sidewalks enable easy access throughout the outdoor classroom. 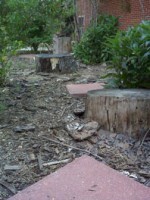 Bricks for these surfaces were provided by a local brick making company and municipal recycled wood waste was used for mulch. Natural wood seating allows children and adults to relax and enjoy the space. Many Alabama native rocks, trees, shrubs and plants beautify this space in addition to a collection of plants from oversea travel. Plant labels include both common and scientific name. 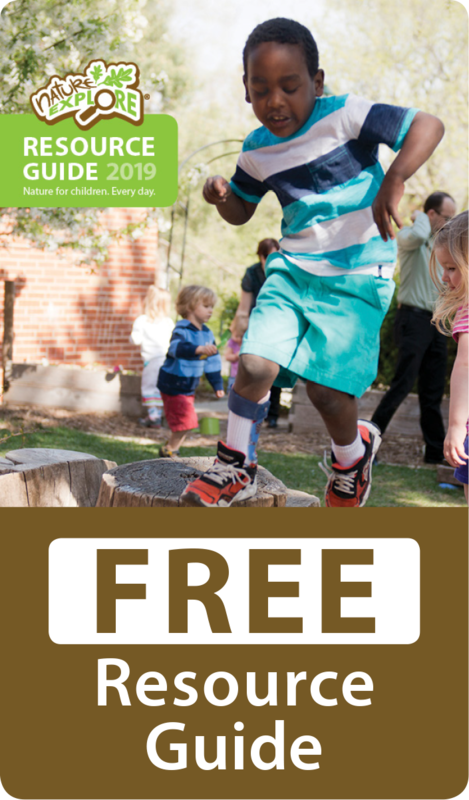 With a bird sanctuary, memorial butterfly garden, experimental plots and soil study station, Wellborn Elementary School Nature Explore Classroom truly takes hands on learning outdoors.